What is an Ear Wig? The earwig is an insect that most people know about. Earwigs have long skinny bodies with long antennae. There are a lot of myths about these little guys that we are going to state the facts. They like to hide under flower pots, in the backyard, and even under furniture. A lot of people find these insects either frightening or even disturbing. What do they have to do with Human Ears? There was a folklore about Earwigs that they crawled inside your ears to lay their eggs or feed on your brain. Fortunately, this folklore has no basis or fact behind it. The fact is that earwigs do like tight, and dark spaces. 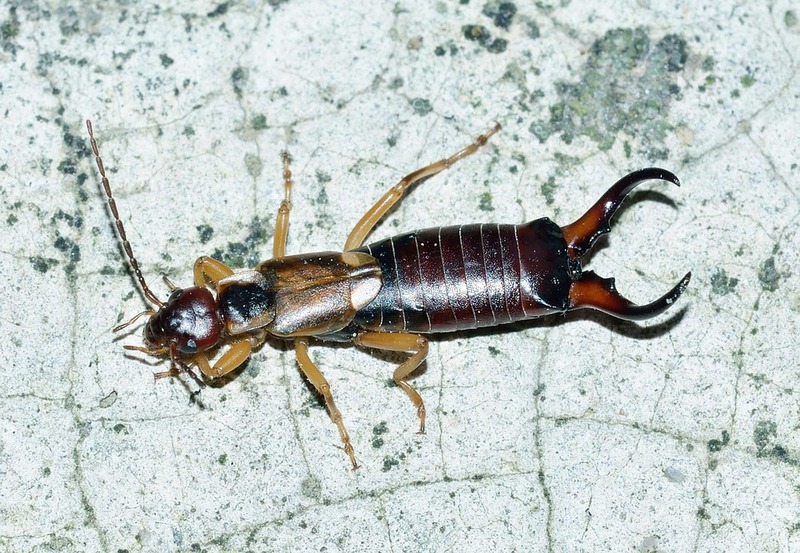 Earwigs typically lay their eggs in underground nests in the fall or winter. Human heads are bad hosts for their eggs. Where do Earwigs like to live? Earwigs hate living in dry areas as they like to have very moist living areas. Under Flower pots is a perfect example of a good living environment for them. They are known to venture into houses, to kitchens, laundry rooms, and bathrooms as some examples. Earwigs thrive outside as they have more places to hide and like to burrow underground to lay their eggs.